Women… Come out for Stand Up Paddleboard Yoga SUNDAY!! | Meghan Kelly Teles! 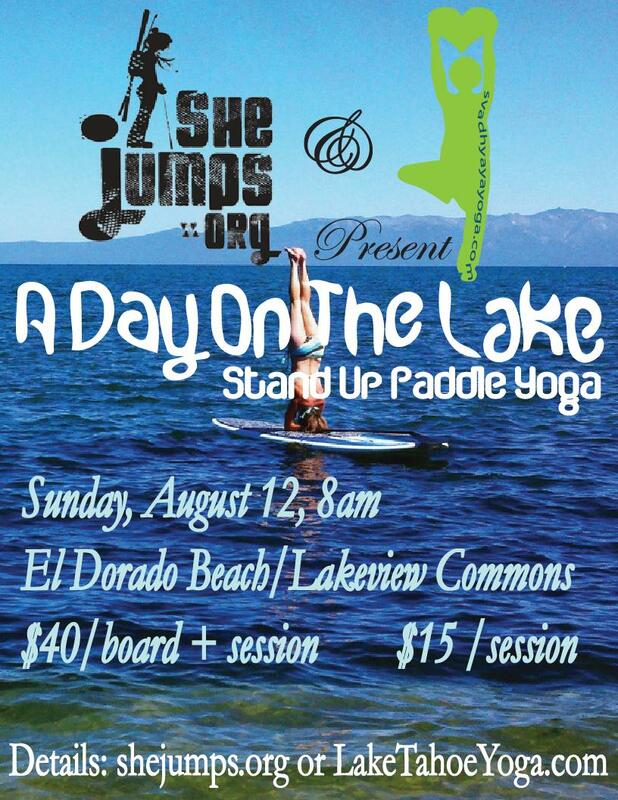 Women… Come out for Stand Up Paddleboard Yoga SUNDAY!! This Sunday were having a special event brought to you by Svadhyaya Yoga and SheJumps! Stand up paddleboard yoga on Lake Tahoe at El Dorado Beach! 8 AM this Sunday, but be sure to register in advance here. Come out out to get a good and fun workout and support SheJumps!